We all live in a constantly evolving environment, where customization and self expression are becoming increasingly prominent societal values. Our personal lives and businesses demand tailored solutions, where generic offerings now fall short. This applies to every facet of our lives, from our cars and clothing, to our computers and dietary choices. Why settle for a “cookie-cutter” version of a product or service when you now have the option to create the perfect solution to all your needs, wants and desires? This trend of limitless customization has been fully embraced by a select group of homeowners who have been granted the ability to watch their dreams materialize right before their eyes. Partnering with a custom home builder, such as Cherry Lane Homes, will allow you to create the perfect conditions for your family to thrive in, while also providing the ultimate outlet to showcase your personality and creative attributes. Instead of blending in with the crowd, your home can be the envy of your neighborhood, a monument to modern design and architecture. Here are four reasons why a custom built home is the right choice for you and your family. When you decide to build a custom home, you have the ability to embrace the most important factor in future valuation and self-satisfaction: location. Potential home buyers can quickly become frustrated when searching for their dream home, as the right structure is often not found in the ideal location, and vice versa. After deciding to create the home of your dreams, you are in the driver seat when it comes to the exact location that construction will take place. You can select the area that will align with your future needs, perhaps featuring the best school districts or a proximity to water. 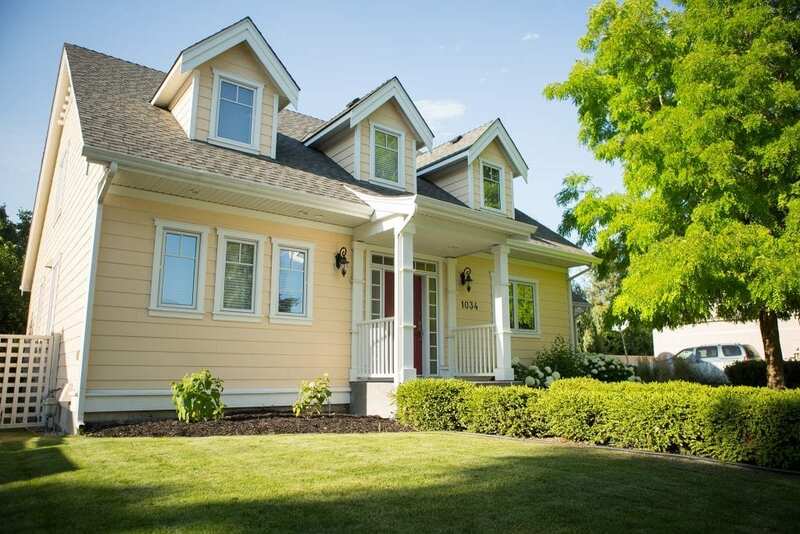 If you have decided to construct a custom built home in Kelowna, you are in luck as almost all of the neighborhoods and surrounding areas offer amazing amenities. One of the most exciting aspects of designing your very own custom built luxury home is the complete and utter creative freedom that comes with the process. There are not many areas of life where you have the power to design and create every element of a physical item, literally from the ground up. If you can dream it, the Cherry Lane Homes team can build it. Every shape and detail is within your control. Do you love having large family gatherings? You can make your dining room the heart of your home in the center, accented by a custom stone fireplace and a barnboard harvest table. Perhaps the highlight of your day is when you get to break a sweat, which could lead you into creating a personal yoga studio or home gym in the basement. So many homeowners sacrifice the level of enjoyment that they derive from their home due to the choices and design aspects of the previous owners or non-custom builder. The possibilities of your future home are literally endless. You can save money and design your home to perfectly fit your needs, wasting no space, or plan for the future and insert an extra bedroom or two. It is common knowledge that professionally crafted goods made with the highest quality materials will produce the most outstanding and durable products. When you are designing your custom home, you can select every material you want featured in the structure, right down to the nails! 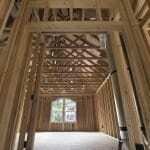 When you purchase a pre-constructed, or previously owned home, you will never be completely confident in the integrity of the materials used. Where did they source their insulation from? Did they utilize poor quality wiring when finishing the electrical systems? When you are making the decisions on what building materials to use, you can ensure that your building is structurally sound and secure every step of the way, built with the finest materials on the market. This will be a major selling feature for you in the future should you ever want to sell. Bonus- Option to Go Green! Another important reason to be in control over your building materials relates to the energy efficiency and eco-friendliness of your home. By selecting “green”, efficient materials, you can drastically decrease your energy bills, while also decreasing the global footprint of your home. You can fully integrate technology features into your living space such as smart energy controls. Again, if you decided to sell your home in the future, having a modern, state of the art home will drastically increase your potentially selling price. When realizing your dream home, the craftsmen creating it are just as important as the ideas and building materials involved. Cherry Lane Homes has close relationships with trusted trade companies that have proven themselves not only talented, but also reliable. When you are building your own home, you have the ability to meet the individuals that are putting your dream together piece by piece. This can alleviate a lot of the stresses that can come with a construction project as you will receive constant updates on the progress of the project. If anything is materializing differently than what you envisioned, adjustments can be made on the fly, ensuring complete satisfaction with no surprises at the end. The advantages that we have outlined above are only the tip of the iceberg when it comes to the total benefits homeowners receive when they decide to construct a custom built home for their family. To learn more, reach out to our team here at Cherry Lane Homes and discover what life is like when you have the ability to transform your dreams into a physical reality. Previous PostPrevious BC Wildfires- Is Your Home in the Okanagan Protected?